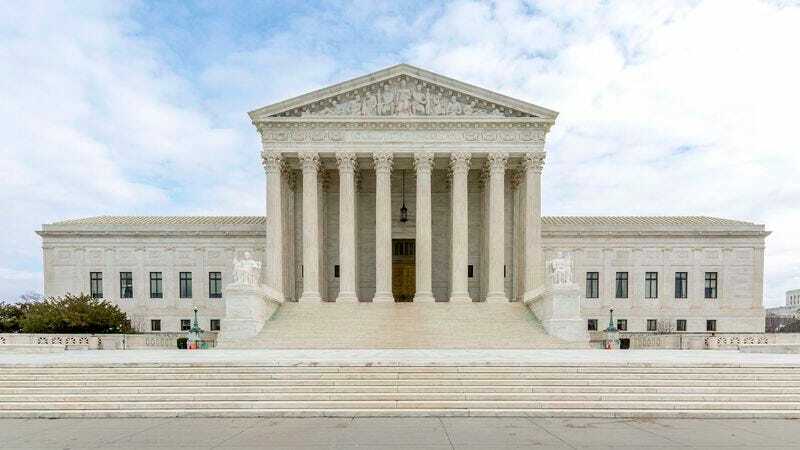 WASHINGTON—The U.S. Supreme Court announced Monday that it would have to review two weeks' worth of procedure after determining it had mistakenly based its last three rulings on a copy of the Belgian constitution left in the justices' chambers. "When I presented my case on legal citizenship status under proposed changes to immigration law, I wondered why they said my argument was in direct opposition to the parliamentary rights of the Walloons," said lawyer Hector Martinez, who argued before the court last week. "In light of this information, I think their denying my case based on a precedent set by the Duke of Beaufort in 1782 is null and void." Martinez has appealed his case, but is still awaiting confirmation of his audience with His Majesty Albert II.